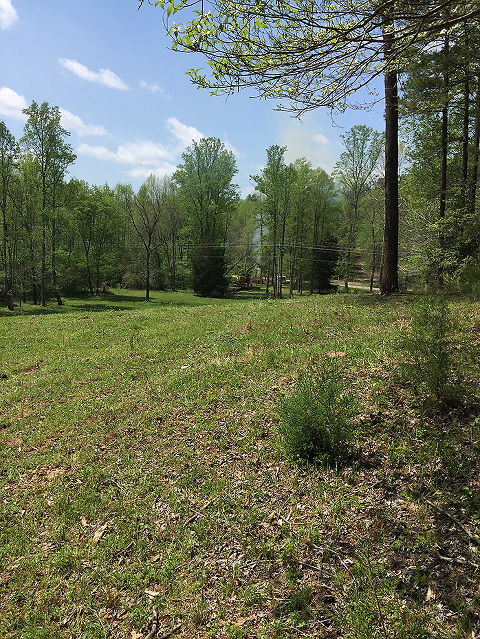 Grading land for new construction is much more time consuming and expensive than I imagined when we first started to plan our Vacation Rental Business. I originally sent a quote to the bank when applying for our loan with an estimate of $10,000 for our driveway expense…after getting real-life quotes from several reputable companies in our area though, I realized the I needed to increase my budget by 3-5 times that much depending on who I hired! 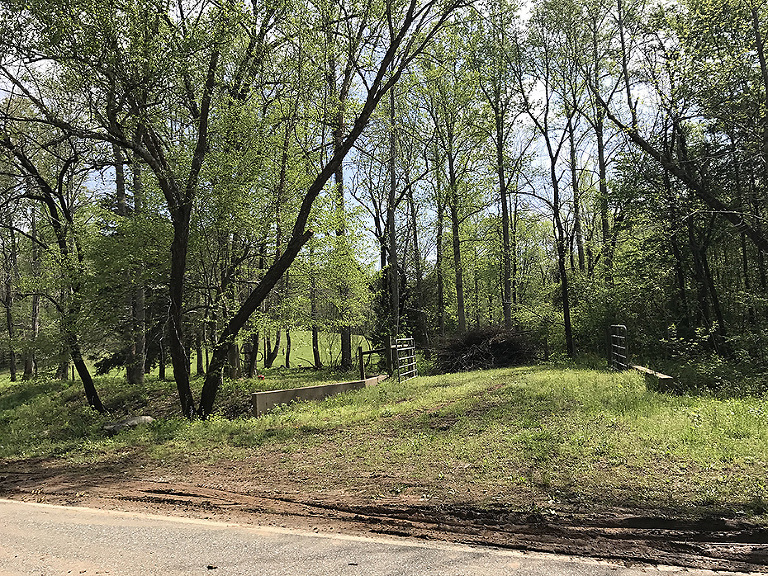 For our project, we had an existing concrete enforced culvert that crossed our little creek in place and a small roadbed that was great for the tractor up through the woods to the location that the houses would be, but that was it. 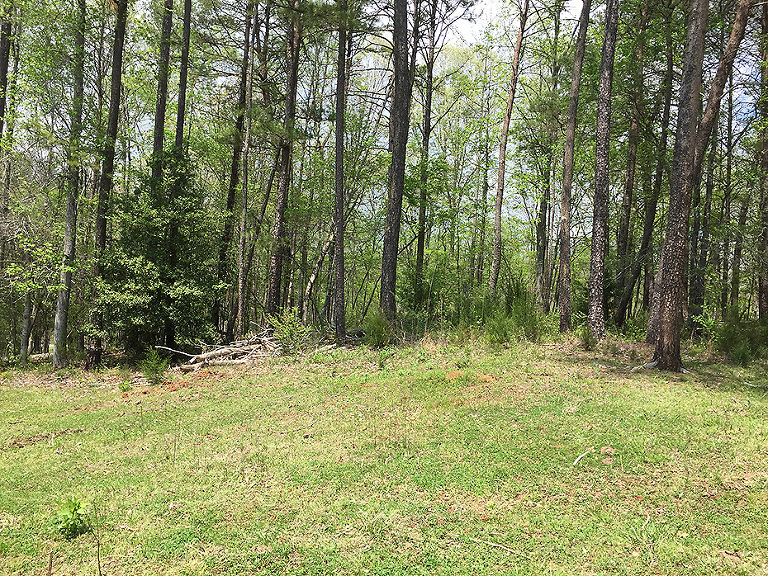 To quote this project, the Sub-contractors met with us and measured the length of the driveway (approximately 1400 feet) and looked at the house sites we were building and the type of drainage we would need. 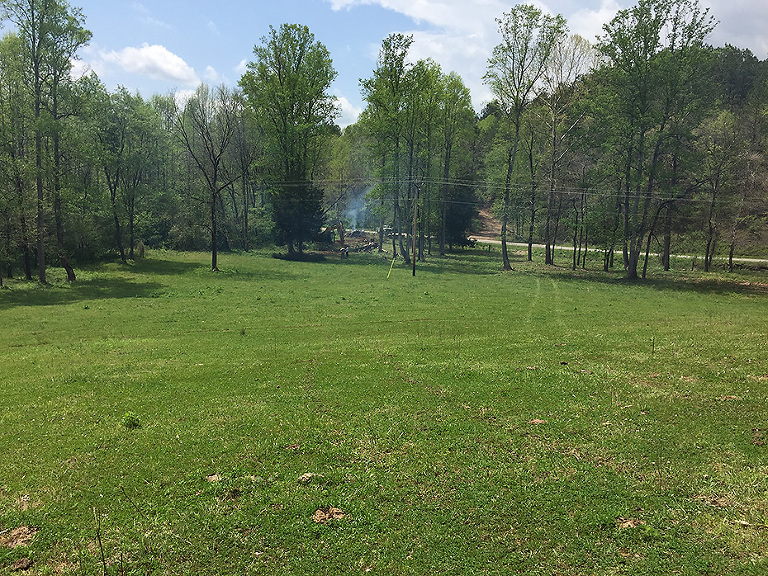 Then they added up the expense of grading the driveway to 20 feet wide (per NC standards with Commercial Property) and grading the house sites, removing trees and brush, adding drainage, and finally, putting down gravel…tons of gravel! We started this process in May and with the amount of rain we have had this summer, we are still not complete. But, I feel like at this point, it is a great time to show how far we have come! You will see all the final touches down the road as we get ready to reveal the finished product! Start Grading months before you think you should…its a long process! Ask for Referrals so that you can view similar projects and speak to owners about their experience. Get everything in writing…many sub-contractors quote without including anything in writing. Look for Price, what’s included and timeline to be included on your quote. Crushed asphalt made a great base for our main roadbed. You can see it in the video! I don’t like mud…and mud is part of construction…so, I have to learn to like mud to do construction! Here are pictures of our process!! Be sure to watch the video at the end!! Crossing the Creek to access the Pasture…this will soon have a road running through it! This is the first “plateau” that is reached when you come up through the pasture. They are cutting in the driveway through the pasture!!! Grading the plateau down to get it level…who knew the bank would be so high on the right? When I originally looked at this, I would never have thought it would need to be cut down so much to level! That is why you hire professionals! The Gathering Place road sign is in!! If this video does not show up here…refresh your page!! Land Grading for New Construction at Living Water Lane from Kelli Duncan on Vimeo.